Gamescom is the most important video games fair in Europe (with nearly 400,000 attendees and 900 stands). This year they are celebrating their 10th anniversary and our colleagues from Gato Studio are attending the show to present the Waylanders universe. 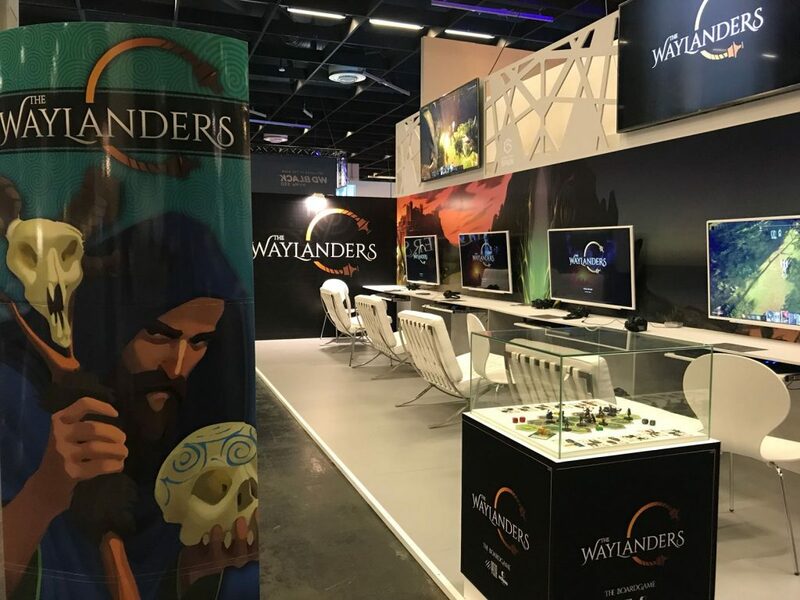 The video games producer Gato Studio has set a very nice stand, a wide and comfortable place for players to play and discover the Waylanders universe. 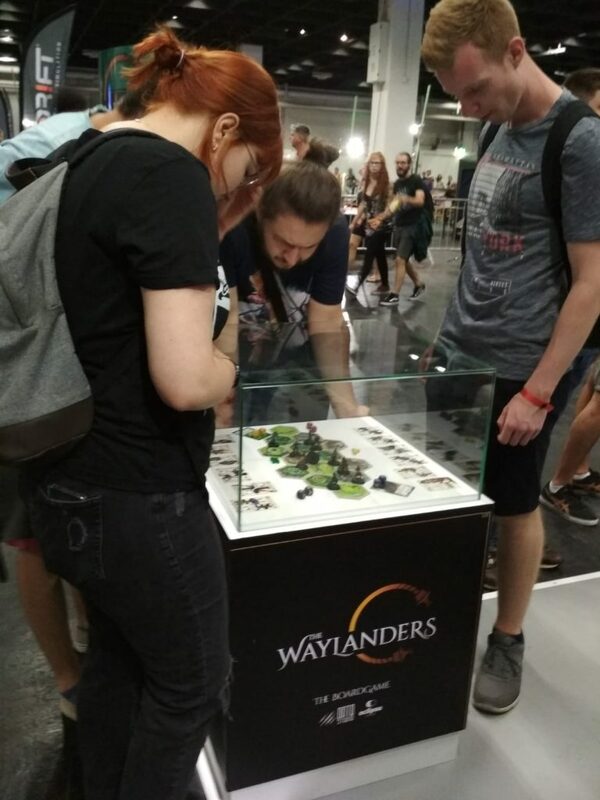 And of course, The Waylanders (board game) prototype has a privileged spot for better exposure and it has aroused a lot of interest on the part of the attendees. So we want to take this opportunity to tell you more about The Waylanders. 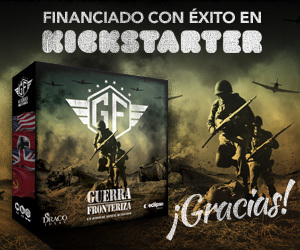 The Fighters are warriors in the traditional sense and they base their combat style in their superior athletic prowess, physical strength and expertise with heavy weaponry. The Fighters are specialists in melee and they move faster through plains. A precise stab or an arrow from the distance are the hallmarks of the Scouts. Their movement, intuition and opportunism are the keys to balance a battle in your favor when using Scouts. The Scouts will favor mountain terrains to achieve their full potential. The Sages dominate magic, either by spending a lifetime of in-depth study of the arcane arts, or by their innate skills to control them. They are in sync with nature and its power, which they can channel to either harm their enemies or aid their allies. The Sages will be more powerful when battling in forests, where the magical creatures live. An adventurer’s class will determine what they do best. For example, Healers cannot attack since they are specialists in cures and medicine, so their job is to keep your team of adventurers alive, while Fighters can inflict significantly more damage in melee combat. You will find all these specifications explained in the adventurer’s card. Warriors: Specialists in melee damage. 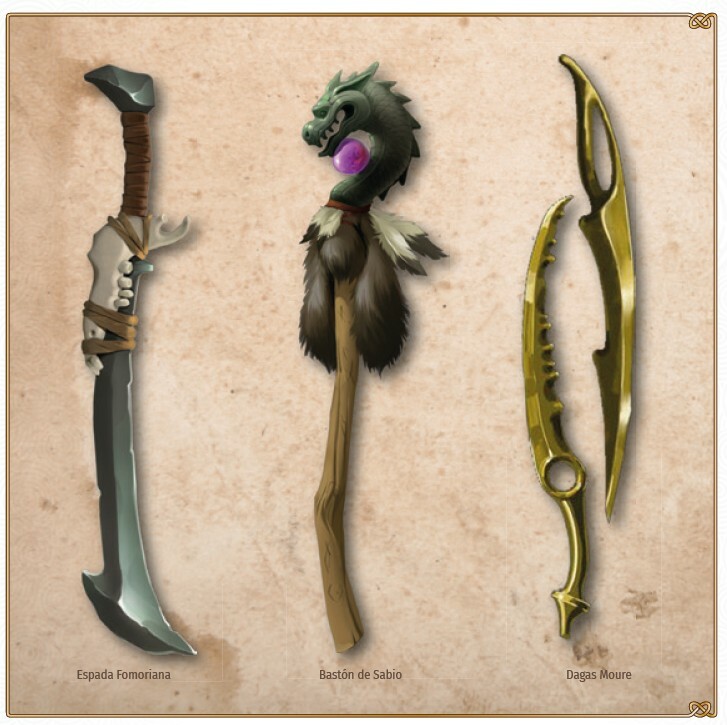 Explorers: Those who employ ranged weapons like bows or javelins. Rogues: Experts in elusion, stealth, and/or inflicting critical damage. Sorcerers: Men and women who dominate the arcane arts and ranged attacks. Healers: Whose specialty is to keep your team alive.